Web listing(s) on SeeMonterey.com: Add your business profile to be listed in applicable category/subcategory selections with descriptions, images and amenities. Also includes ability to upload special offers at anytime and links to your social media outlets. Events Calendar: Add your events to the Events Calendar and your member listing page on SeeMonterey.com. The opportunity to display materials and participate in advertising at the Monterey Visitors Center that influences more than 60,000 visitors annually. The opportunity to receive leisure and group customers’ requests for proposals (leads) relevant to your category(ies) of business. Ability to utilize the online “Members Only” EXTRAnet with access to leisure and group sales leads, reports and other important information. Collateral distribution (your brochures and special offers) at off-site Welcome Tables including events and conferences. Co-operative advertising includes free and cost-saving opportunities in print and digital media as well as Trade Show and Client Event participation. This category offers industry related businesses one complimentary directory listing on SeeMonterey.com containing the business name, address, phone number, website and email address (if applicable, not linked) in the section your business most closely aligns with. The business must be located in Monterey County. 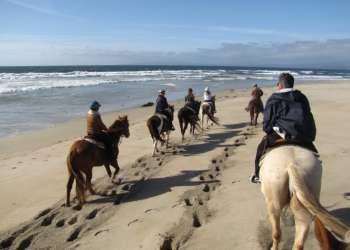 This membership category offers industry related businesses outside of Monterey County a detailed listing on SeeMonterey.com with access to the EXTRAnet to update listing information plus the opportunity to have marketing collateral at the Monterey Visitors Center.